February 22, 2016 by Ecommerce News. About Online store with tags Luxembourg. 1198 views. Ecommerce in Luxembourg is attracting more and more residents. Last year, 80% of the local internet users have made purchases online. This percentage was about 60 percent in 2006. 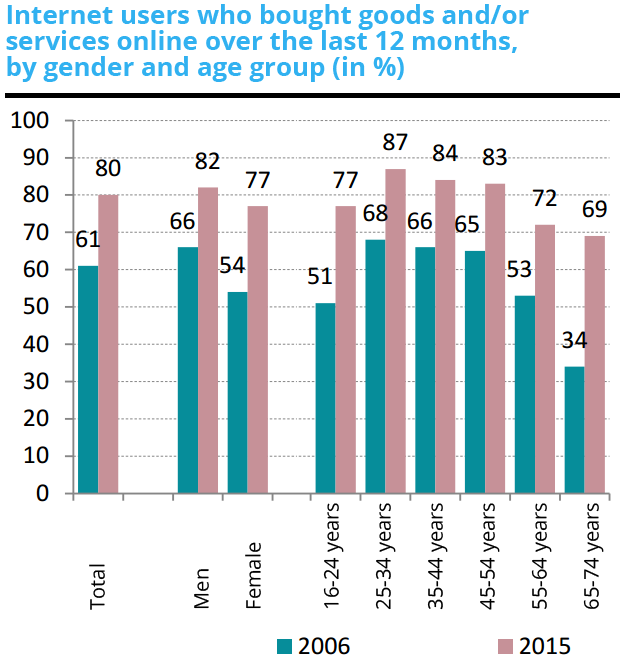 The most online shoppers can be found in the group aged 25 to 34 years old, but more and more seniors are shopping online as well. The data [pdf] comes from Statec, the government statistics portal of Luxembourg. It found out that the proportion of online buyers among internet users aged between 65 and 74 years has actually doubled over the last ten years: from 34 percent in 2006 to 69 percent last year. In Europe, a higher share in this age group can only be found in the United Kingdom, Denmark and Germany. In Luxembourg, the most popular online product categories are similar to those in other European countries. Clothing and sporting goods were bought by 56 percent, followed by books, magazines and newspaper (54%) and holiday accommodations (53%). 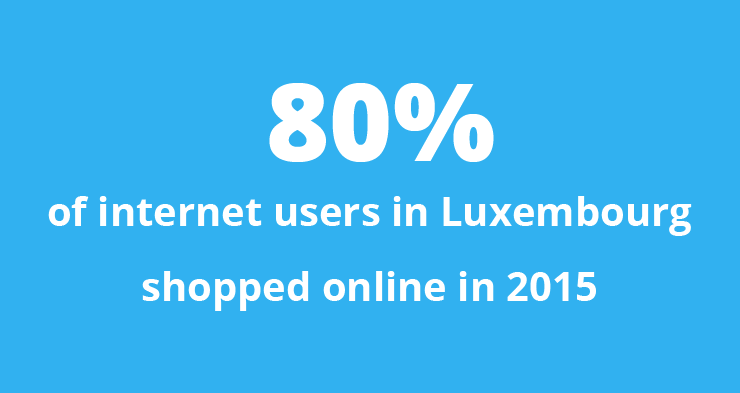 According to Statec’s data, 28 percent of internet users in Luxembourg have made at least one purchase at a local online retailer, while 88% bought something online from sellers located in another EU country. One in four even purchased something from outside of Europe. Ecommerce is growing in Luxembourg but this doesn’t happen without any hassle. More than half of online buyers say they have encountered a problem when shopping online. The most cited problem is non-delivery in the small European country, but also delivery taking longer than indicated is a real annoyance for many shoppers.